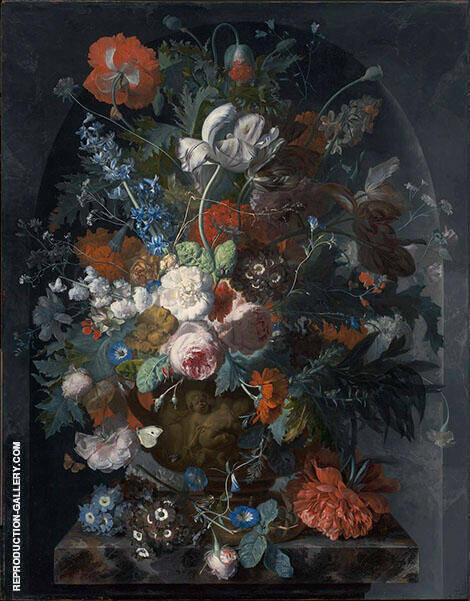 Dutch artist Jan Van Huysum (also known as Huijsum) was 18th century Dutch painter known for his highly detailed Still Life paintings, almost always of fruit or vases of flowers, and landscapes. The majority of van Huysum’s landscape paintings are held by the Louvre in Paris. The finest of his fruit and floral paintings are owned by private collectors such as Earl of Ellesmere’s gallery and also the collections of Lord Hope and Lord Ashburton, all members of the British aristocracy. 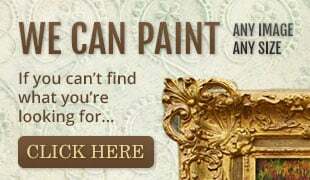 Are you looking for a still life painting or a floral oil painting? 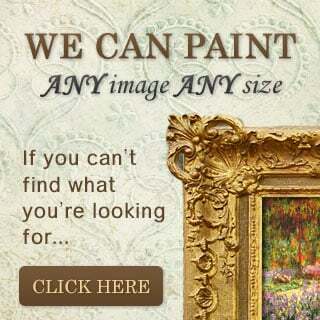 We have reproduction flower paintings by van Huysum and other still life painters for sale. Vase of Flowers in a Niche by van Huysum can be purchased as a fine art reproduction oil painting. 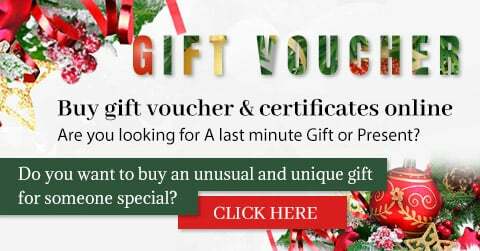 Every Jan Van Huysum painting is a hand painted reproduction oil painting, created by a talented artist and comes with a 100% Money Back Guarantee. FREE Shipping Worldwide.